There is no doubt that the advent of the WLAN controller was one of the greatest advancements ever for wireless networks. But the next best thing is being able to have that functionality without paying for the hardware or licensing! Wait. What? You can still have zero-touch deployment, central management, and analytics of a wireless network without any additional costs other than the APs? For small networks, YES! Enter the Virtual Controller! Aruba Networks and Motorola/Symbol Technologies have made this possible for deployments of 25 or less access points. Simply assign one of your Aruba Instant or Symbol/Motorola WiNG5 Access Points as a Virtual Controller and it will automatically adopt new APs as you add them to your network. and configure them for you! While there are some advanced features missing compared to a full controller solution, the bulk of the features are still there to help manage and troubleshoot your network! Making sure your wireless network is working at peak performance can often be a challenge for small business without involving a dedicated IT professional. 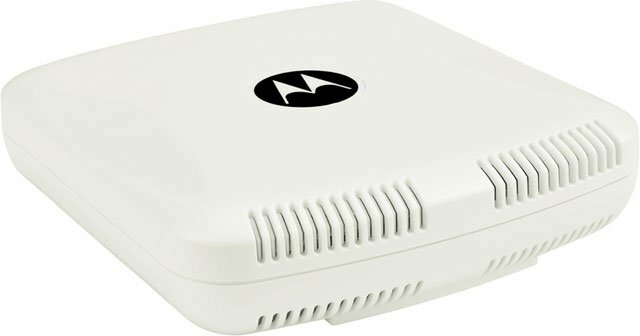 Lucky for many of us, Motorola has developed their WiNG Express system in many of their wireless access points to make management of your hardware a breeze. With the WiNG Express enabled devices you can ensure your network is as secure and efficient as possible through a simple user interface. This infographic is a great introduction to Motorola’s WiNG Express access points and will help you find the right device to save time and money for your business. Motorola’s WiNG Express is a powerful WiNG enterprise-class WLAN operating system wrapped in an easy to use, easy to understand graphical user interface that makes end-to-end WLAN management easy without involving an IT department . With WiNG Express, small to medium-sized businesses (SMBs) can deploy and scale their business networks with ease and affordability. You can find the WiNG Express capabilities in 6 of Motorola’s popular access points: AP 6521E, AP 6522E, AP 7522E, AP 7502E, AP 6562E, AP 6511E. Providing the same advanced intelligence as Motorola enterprise-class WiNG 5 WLAN operating system, WiNG Express creates a “fully network aware” WLAN where all WLAN infrastructure has the intelligence required to work together to route every transmission as efficiently as possible for unsurpassed wireless performance. WiNG Express allows users to enjoy all the benefits of high-performance wireless connectivity, at a cost that a small to medium-sized business can afford. Zebra Technologies and Motorola Solutions today announced that Zebra has completed the acquisition of Motorola Solutions’ Enterprise business. “With the successful close of this transaction, Motorola Solutions is now singularly focused on the very core that our company was founded and built upon – a business that continues to help build safer cities and thriving businesses around the world through innovative mission-critical communications solutions.” stated Greg Brown, Motorola Solutions chairman and CEO. As a premier partner of both Zebra and Motorola, BarcodesInc is well positioned to help you with your needs for products from either company. Pocket-sized barcode scanner designed for healthcare helps improve patient safety and the patient experience. Motorola’s new disinfectant-ready Symbol CS4070-HC wireless handheld Bluetooth scanner provides nurses and lab technicians with the ability to scan both 1D and 2D barcodes at the patient bedside to help prevent errors in medication administration and specimen collection. Healthcare workers can improve the patient experience by easily adjusting the pocket-sized scanner to “night” mode to avoid disturbing resting patients.